Such a great movie. Love the baptism scene. (Won't spoil it for you). This movie is fantastic! 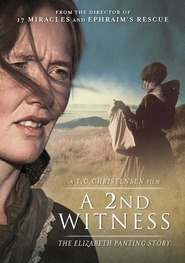 It tells the story of two young children, a brother and sister, on the run from Roman soldiers. They meet Mary at a well, who introduces them to her son, Jesus. They teach the children about faith, repentance and baptism. The children feel remorse for some decisions they've made and also learn about forgiveness. The ending is inspiring and heartwarming. It's a powerful movie that is only 24 minutes long and is perfect for the entire family! I actually watched this with my 5 year old and my 3 year old. I wasn't sure what to expect from this movie, but I figured it ought to be safe for my little ones :) My 3 year old was excited every time Jesus was in a scene and she yelled out "That's Jesus!" every time. My 5 year old was actually more involved than I expected her to be, and she watched the whole thing quietly, sometimes asking a question here or there. I actually wish my 7 year old was home to watch it. I think it's a great video for young children preparing for baptism. The script was written in such a way that it's easy for children to understand and it tells lots of stories that they hear in the scriptures. I loved the message in this video. The Savior, Jesus Christ, teaches children about faith. He teaches them to repent and to "come unto Him." I really have enjoyed watching these short movies that Covenant Communications has been selling about the life of Christ. This one was cute to. It follows 2 children, Mary and Samuel, as they go about life after the death of their father. One day they meet a kind woman whose name is also Mary and their lives are forever changed. I loved Mary in this movie, the actress playing her was perfect for her role as the mother of Jesus. I loved the kids too, they were cute! Really, all of the actors were perfect in their roles. I loved that the scenery in the movie looks how I would picture the area near Jerusalem looking. This is a cute movie that's perfect to watch during this Easter season! Come Unto Me is a short film with a good message and one worth seeing, especially this time of year when we are reflecting on the Savior's life and the sacrifice He made for all of us. I can't recall seeing any Biblical depictions of Mary and Jesus when He is an adult, so I enjoyed seeing their loving relationship portrayed. I suppose I haven't thought much of Mary past His childhood, so her outgoing nature in the film wasn't something I had in mind, but she was very kind and helped children in need. She was a good example. She and Jesus brought out the best in the children. 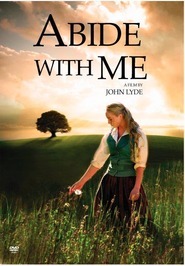 I watched Come Unto Me with my kids, and although my son's interest wasn't held, my daughter thought it was good. The consensus was that the acting was ok.
Come Unto Me brought me to tears with its touching story of two children who are lost and wandering, stealing from strangers to keep themselves fed. As the children hide from the Roman soldiers they meet Mary, Jesus mother at a well. She invites them to join her and her son for supper. During that supper, the children learn about faith and more about Jesus and His calling as the Son of God. Thanks to Mary and Jesus, the children learn to have faith. Like the previous movie He Knows My Name, I loved this one. It's short and sweet and yet carries with it a powerful spirit and message. It's easy to forget sometimes about Jesus living and breathing like the rest of us, and these movies show so sweetly the man he was and is and His willingness to both live and die for us. A tender movie for young and old alike.